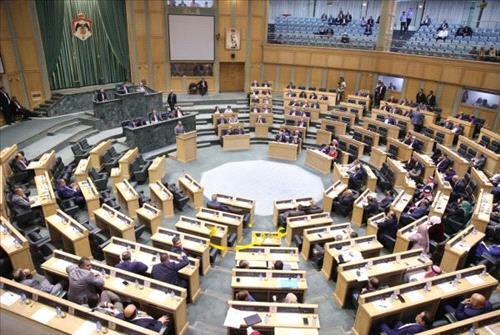 AMMONNEWS - The Lower House of Parliament Sunday kicked off its deliberation over the government’s policy statement which Prime Minister Omar Razzaz presented last week seeking the lawmakers' confidence. The discussions are expected to continue this week before the legislature vote on the issue and after the government's listens to response to the MPs remarks. MP Abdul Karim Al Doghmi announced he is withholding confidence in the government, slamming the restructuring of the Cabinet and the exclusion of deputies from the ministers lineup despite their efficiencies. Moreover, MP Sowan Shurfat demanded an assessment of the governorates' councils and the decentralization, pointing out the importance of selecting ministers who are of acknowledged impartiality. Also, deputy Hassan Ajarmah said he is withdrawing confidence in the government and criticized the mechanism through which the ministers are chosen. A Royal Decree was issued this month summoning the Parliament to convene for an extraordinary session as of Monday, July 9, 2018. The extraordinary session will be dedicated to discussing the policy statement of the newly-formed government, and eventually to cast a vote of confidence - or no confidence - in PM Omar Razzaz'a government.